First Ace Cafe in the U.S. Scheduled to Open in Downtown Orlando Spring 2017. Looking for a gig? Ace Cafe Orlando, the first outpost of the iconic London, England-based motor-diner, is bringing 175 new jobs to Central Florida and will host a job fair later this month. A beacon to English motorcyclists for decades, the Ace Cafe has become a global cultural phenomenon, and is about to bring that same love of speed and adrenaline to downtown Orlando in the form of Ace Cafe Orlando. 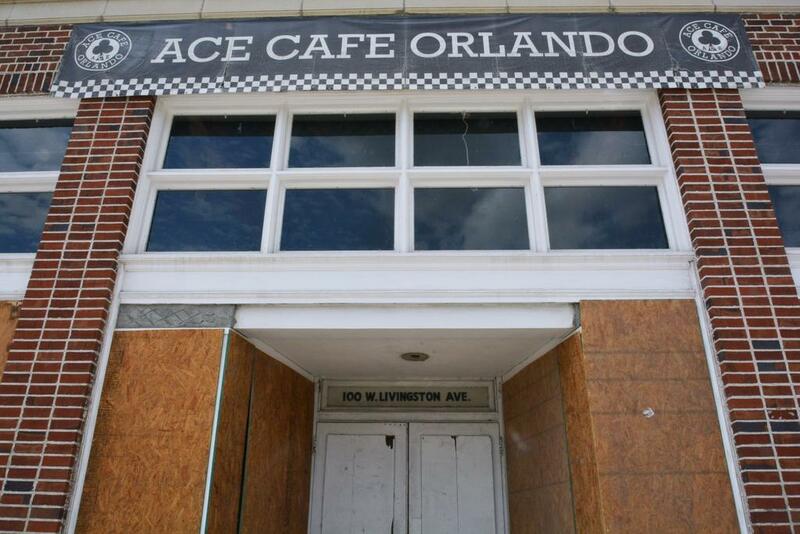 Currently under construction inside three historic buildings on a three acre parcel located at the corner of West Livingston Street and Garland Avenue, Ace Cafe Orlando is on track for a scheduled opening this spring. The Ace will host a job fair on Friday through Monday, January 27-30, 2017, between 10 a.m. – 6 p.m. at the Courtyard Orlando Downtown, at 730 N. Magnolia Ave., Orlando, FL 32803. Talented bartenders, baristas, servers, retail sales associates and other food service industry professionals with outgoing and creative personalities are invited to apply in person or send an email to jobs@acecafeusa.com. Visit acecafeusa.com or call 858.729.3400 for details. The Ace offers competitive benefits and professional advancement opportunities for proven restaurant professionals that possess the ability to maintain its high standards of quality and guest satisfaction. The Ace offers health/dental/vision benefits and unmatched opportunities for growth in a friendly and exhilarating work environment. More than a restaurant, Ace Cafe Orlando will connect great food and dining with a passion for motoring and rock ‘n roll, providing a totally unique guest experience found nowhere else in the world. The menu is an American roadside diner concept with made-from-scratch home style comfort food, with some British favorites like Bangers & Mash, Fish & Chips, and Chicken Curry, but with a twist that captures the authentic spirit and flavors of some of the best backroad joints and specialty fare, with a nod to locally-sourced and green options, all at an affordable price point. Ace Cafe Orlando also has a big backyard area for patio dining, making it a great place for an outdoor event and live music in the middle of the city. In the late 50’s and early 60’s, the British motorcycle industry was at its peak, muscle cars started to make their presence known, and along came rock ‘n roll. Not played on radio stations, initially the only place rock ’n roll could be heard was on jukeboxes at cafes. From this powerful fusion of motorbikes, cars, and rock ’n roll came the legend of the Ace and a significance for motorcycle and car lovers all over the world. The Ace is a shared identity and a vital point in a culture that, as the decades pass, continues to thrive and evolve. Ace Cafe celebrates the spirit, history and culture of motor-enthusiasts, where guests can have a great meal, meet friends, see some amazing motorcycles and cars, and leave feeling like they’ve just been part something bigger. Ace Cafe’s iconic, stylish and distinctive emblem is instantly recognizable and has come to represent an authentic, simple, hardworking and straightforward speed-inspired culture. Ace Cafe is the most famous motor-diner on the planet. Ace Cafe North America holds the exclusive licensee rights in North America and South America for this world-famous brand. Born in London in 1938, the Ace celebrates the spirit, history and culture of motorcycling, cars and rock ‘n roll, and continues to influence almost everything that has a rebel attitude -- generations of kids on motorbikes, cool cars, an entire genre and style of motorcycling, the thrill of speed, the beginning of rock ‘n roll, movies and television, Rockers, Mods, leather jackets and renegade fashion. Ace Cafe Orlando is the first North American venue for Ace Cafe, and is a full-service restaurant and bar, a cafe, a live music and special event venue, a motor-inspired art gallery and a number of retail shops, covering three acres in downtown Orlando at the corner of West Livingston Street and Garland Avenue. Ace Cafe welcomes all who share the passion and traditions of motorcycles, cars and rock ‘n roll.